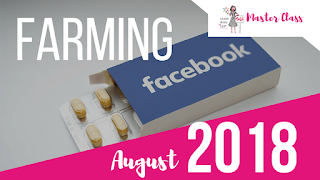 As August 2018 approaches, Facebook as we have known and loved it, is changing. Just last week, Facebook lost over $120 billion in valuation! This along with the privacy concerns that have been prominent in the news this year, many real estate agents and brokers are wondering how to market using Facebook going forward. Want an audit of your social media? Get coached! Visit http://bit.ly/strategysurge or schedule a chat at http://bit.ly/callwithlee. Here's to your surge!